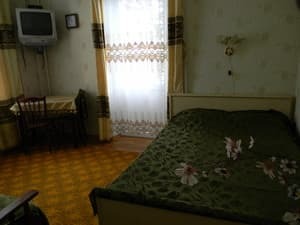 One-room apartments are located in the historical center of the city, 5 minutes walk from the waterfront, next to the Pushkin Alley. Apartments on the street. Palmiro Togliatti consists of one room in which there is everything necessary for comfortable living and recreation: a double bed, a sofa bed, a TV, air conditioning, a work desk, a bathroom and a kitchen. The apartment can accommodate 4 people at the same time. The kitchen is equipped with a full set of dishes and appliances. For guests with a car, there is free parking in the courtyard. Near a lot of entertainment centers, museums, business centers, parks. Distance from bus station Yalta - 3.4 km. PRICES MAY CHANGE, IT IS REQUIRED TO RECEIVE INFORMATION FROM THE OPERATOR. Description of the room: One-room apartments have everything you need for a comfortable stay: a double bed, a sofa bed, a table, a TV. 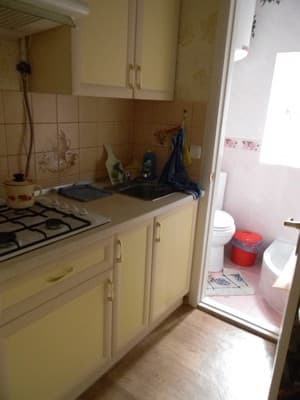 In the kitchen there is a gas cooker, an extractor fan, a refrigerator, a kettle, utensils. The maximum number of apartments is 4 people. 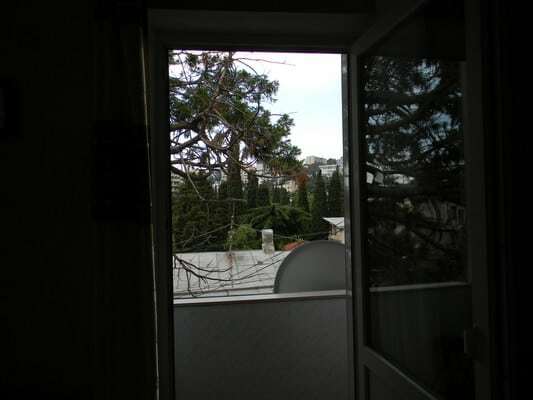 The apartments are located in the historical center of Yalta near Pushkinskaya mall. 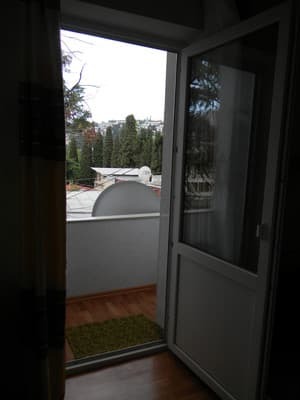 The Yalta embankment is 5 minutes' walk away. Near the railway station in Simferopol (exit to McDonald's, in the direction of the tower with a clock) are auto- and trolleybus stations. From there, by shuttle bus, shuttle or trolleybus number 52 to Yalta (1,5-2,5 hours).